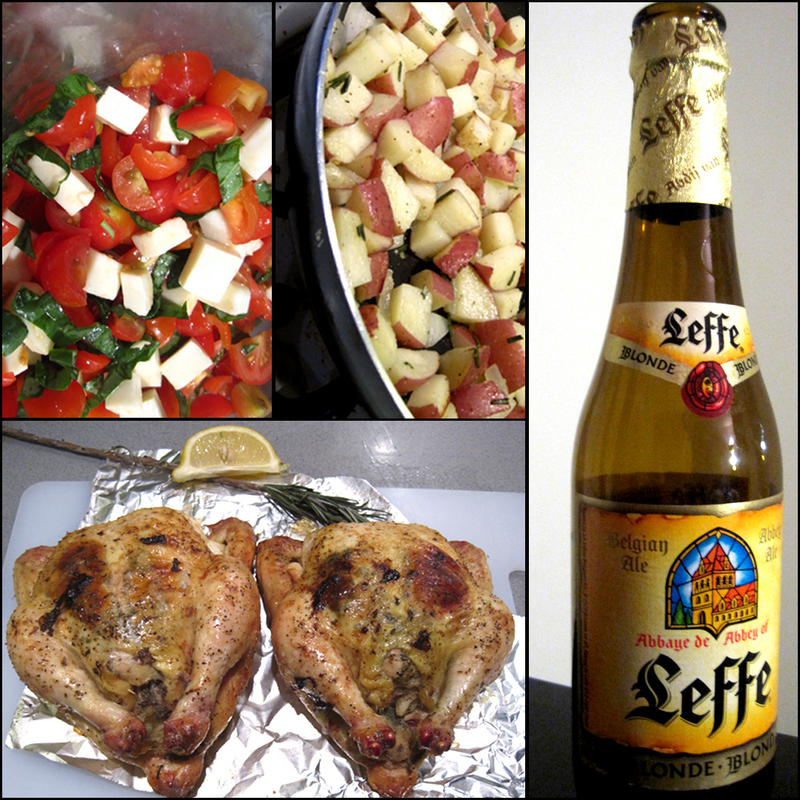 ﻿caprese salad (my favorite), skillet-roasted garlic rosemary red potatoes, oven-roasted rosemary+lemon cornish hens with giblet mushroom gravy, and Leffe Blonde…. This entry was posted in eat me. Bookmark the permalink.